THROUGH MENTORSHIP PROGRAMS, TECHWOMEN EMPOWERS WOMEN STEM LEADERS FROM DEVELOPING COUNTRIES TO CREATE A LOCAL IMPACT IN THEIR OWN COMMUNITIES. TechWomen brings cohorts of 100 women working in tech in developing countries to Silicon Valley for professional mentorship. The participants are emerging STEM leaders from Sub-Saharan Africa, South and Central Asia and the Middle East, with a 4-year degree, at least 2 years of professional work experience in STEM, and a record of active participation in their community. The selected participants take part in a four-week mentorship program with Bay Area tech companies. Throughout the program, the women meet with technical professionals in Silicon Valley and work in teams to craft and pitch new business and social impact initiatives. The intention is that participants bring the skills and exposure acquired back to their respective countries to generate positive local benefits. After the program, the participants and mentors stay connected through an alumni community and delegation trips to program countries. TechWomen takes an innovative approach to empowering female leaders through creation of unique partnerships between the state, private sector and local communities. Funded by the US Department of State and administered through the International Institute for Education (IIE), TechWomen engages corporate partners and in-country communities in a partnership that has formed to advance women in tech globally. It is innovative in that it relies on the women themselves to serve as ’’emerging leaders’’ in their local communities. 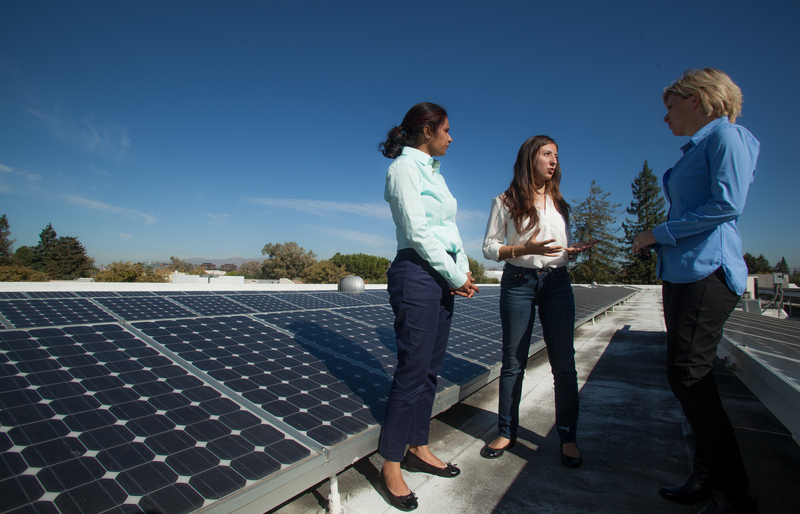 The program has operated since 2011 and has brought 419 women to Silicon Valley. In the most recent cycle, they received ~4,000 applications to bring 100 women to Silicon Valley. Each year, they organize in-country visits, where technical mentors from Silicon Valley travel to partner countries and meet with local NGOs/schools/CBOs to foster excitement for women in STEM at the grassroots level.